The third alternative Seder of gate48 & Isam Nadaf, Friday, the 30th of Mach 2018, at 17:00 in Amsterdam. Pesach in the Jewish tradition symbolizes the journey from slavery to freedom. The Hagada (the book of Pesach) tells the story of the Hebrew people as slaves in Egypt and their journey to freedom. Today, we celebrate this tradition as free people, while our state that calls itself a Jewish state systematically denies freedom from Palestinians. The 30th of March is also Land Day, a day that marks the protest in 1976, in response to the decision of the first Rabin government to expropriate thousands of hectares of land belonging to Arab communities in the Galilee as part of a broad plan to “Judaize the Galilee.” The strikes and demonstrations in Arab communities were harshly supressed, six Palestinians were killed and dozens wounded. Since then, March 30th is a day of protest against Israel’s policy of dispossession, discrimination and house demolition that continues till today. 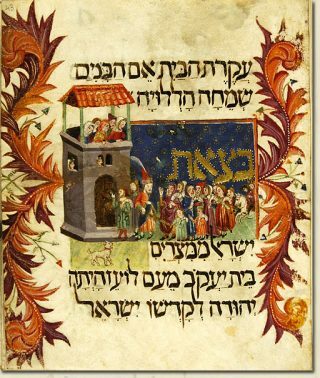 Fundamental to Pesach is the Jewish mitzvah (commandment) והגדת לבנך ביום ההוא לאמור “, (vehegadeta lebinch bayom hahu leamor),, “and on that day you shall tell your child”. It calls upon every generation to tell the story of this journey to freedom. Following this tradition, we devote our Seder meal to the journey of the Palestinians to freedom that we are committed to support. Together with our generous host we invite you to an evening full of determination for a different future. The Pesach meal is traditionally a long meal with many courses and many stories and songs. Isam’s delicious food will be accompanied by stories from both past and present.